It is not news that we live in a global community, a melting pot where multiple cultures, ethnicities, life choices, etc. 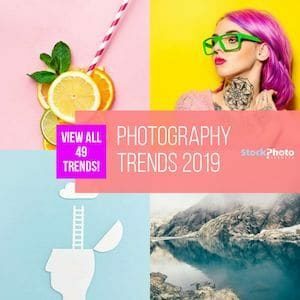 The diversity in our current society is one of the aspects the public praises and better relates to, so it comes as no surprise diverse stock photos are one of the top trends in the market since years (check out our amazing photography trends for 2019, it sure is there!). Using imagery with an authentic, natural feel in content that represents diversity in all its greatness is a very effective way to achieve compelling visual designs that better connect with your audience or target market (specially millennials and genX's whom were born in the era of diversity). Diverse stock photos free your potential to communicate with your audience in an accurate, tangible way. So where to find diverse stock photos with professional quality to use in your designs? 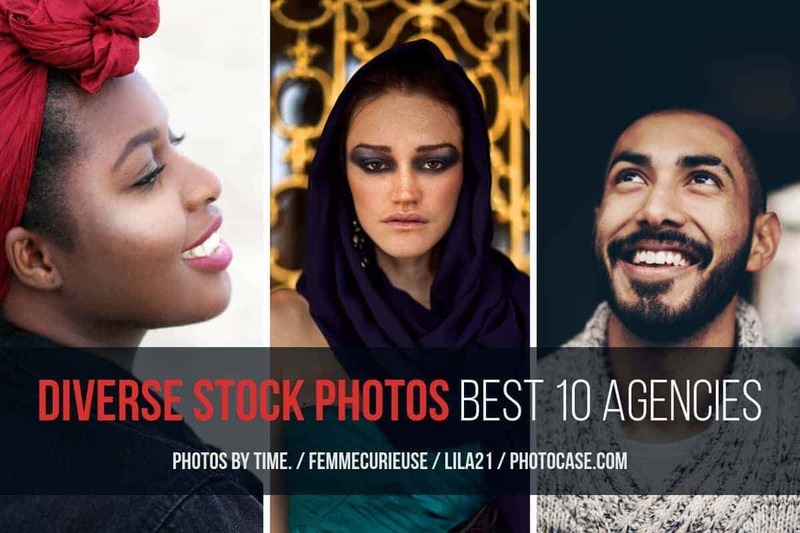 Here we have listed the best stock photo agencies offering high quality images with diversity in focus, and several of them are also included in the Top Stock Photo Sites List. Check them out! 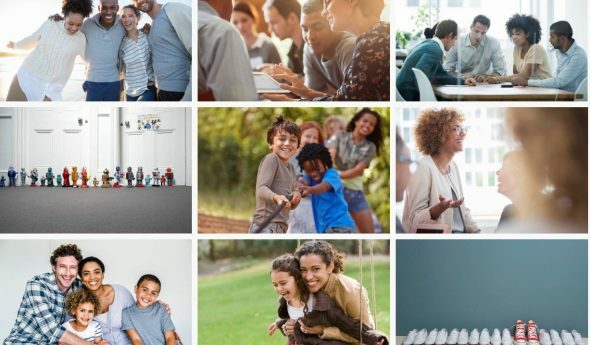 The pioneer stock photo agency of the web, iStock is still one of the most popular around, and includes a big selection of images in the topic of cultural diversity. In both their budget-friendly and their exclusive, high end collections, they offer plenty of photos representing multiculturalism and modern takes on global society. 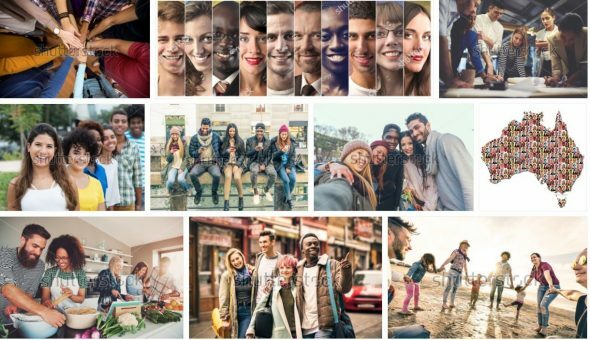 There's traditional stock photo themes like racially diverse people holding hands and photo collages of ethnically diverse models close ups, mixed up with more trendy shots showing diversity in business, childhood, friendship and family environments. iStock photos are super affordable, be it on demand with credits or via a subscription. Depending on which collection they are from, you can buy them for as little as $0.42 and $0.26 each, or between $8 and $24 using credit packs. Sign up for free at iStock to discover their ethnically diverse stock photos! 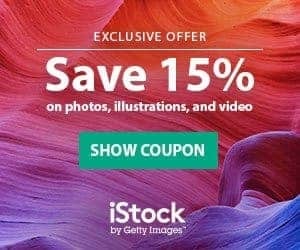 And you surely want to seize our special and exclusive iStock Promo Code with 15% off in EVERYTHING including subscriptions! Valid for limited time, this deals gives you a 15% discount in credit packs in subscriptions whether you are a new customer or an existing member! Grab it, hurry up! A well-established stock photo agency based in Berlin, Photocase is an specialist in authentic and trendy imagery, and they have a large variety in diverse stock photos in a realistic, modern and artistic style. Photocase's unique stock photos represent diversity in many different ways. From dedicated photo collections to keyword based results, you will find lots of photos covering human diversity in terms of culture, ethnicity, gender roles, customs, life choices, and beyond. All in premium quality and with a very marked artsy eye. This agency sells photos on demand, priced according to size. Buying them individually you get them for between $10 and $20 each, but using credit packs you can save a lot of money in the long run. Explore Photocase's amazing artistic stock photography! And if you want to buy photos cheaper, grab our special Photocase Coupon Code that gives you 3 FREE Credits + 20% Off! 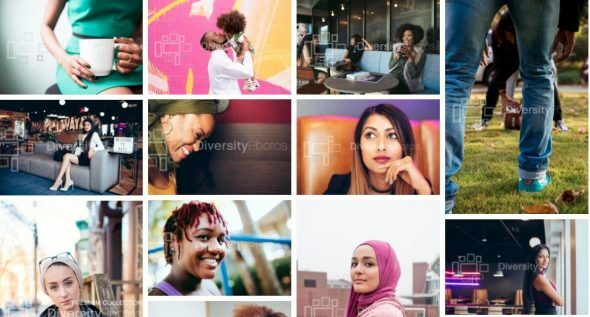 One of the web's biggest and most popular stock photo agencies, Shutterstock has a wide variety of multicultural images in their over 100 files library. Curated into categories, and also found with keywords like “multicultural”, “diversity” and similar terms, you will find lots of photos representing the diverse society of our days. Of course you will see the typical, “stocky” shots like the circle of hands from ethnically diverse people and the picture perfect interracial family, but they also have a nice selection of more authentic styled images depicting diverse groups of millennials in every day life situations, as well as more specific content on particular cultures and ethnicities. Shutterstock photos are really cheap, costing as little as $9.16 each when bought on demand, and as low as $0.26 per image with subscription plan. Sign up for free at Shutterstock to explore their diverse stock photos! To save in your purchase, seize our special Shutterstock Coupon Code with 15% Off! One of the most renowned traditional stock photo agencies in the world, Getty Images has images for pretty much any topic or theme you can imagine, and that includes diversity. 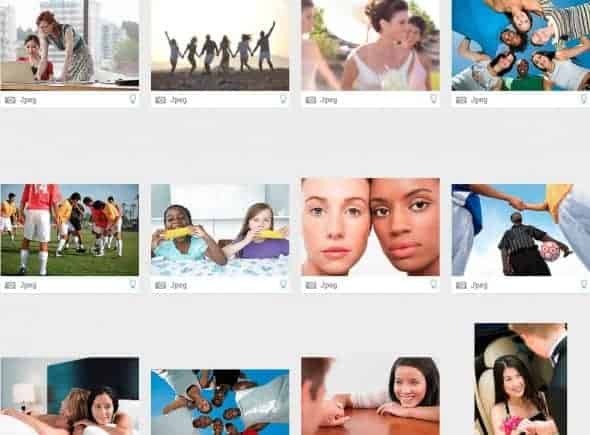 They have dedicated photo collections covering various topics within the diversity umbrella: the Lean In collection for modern women roles, Vanguardians for current business lifestyle, and many other selections where cultural, ethnic, age and gender diverse people are depicted performing every day life tasks. Getty Images sells photos at a significantly higher price point than the called “microstock” agencies, but they also offer specific usage rights, and all their imagery is premium quality. Rights Managed photos can be anything from a couple hundred to thousands of dollars according to the rights acquired. Under Royalty Free license you can find photos priced by size, starting at $50 and up to $500. With their special Ultrapacks (prepaid downloads) you get these images for a lot less money, saving up to 33% from regular price. Visit Getty Images today and explore all their wonderful collections! To save in your premium diversity stock photos, use an Ultrapack and save up to 33% in your purchase! Our own StockPhotoSecrets Shop is a stock photo agency designed specifically for small to medium sized businesses looking for awesome, professional imagery at affordable rates that match their budget. As we focus in providing all the right photos to make your business stand out, diverse stock photography could not be absent in our collection. Amongst our 4 Million high quality photos and images, we include a nice selection of culturally diverse stock photos ready to be downloaded and used. As much within our categories such as People, Lifestyle and Family, or searchable by keywords, you will find lots of HD photos depicting people of all ethnicities, ages and cultural backgrounds, from portraits to every day life situations and scenarios. Photos at SPS Shop are really cheap, whether you buy them on demand with image packs, or acquire one of our convenient monthly plans. One of the best deals is with our annual, 99club plan. 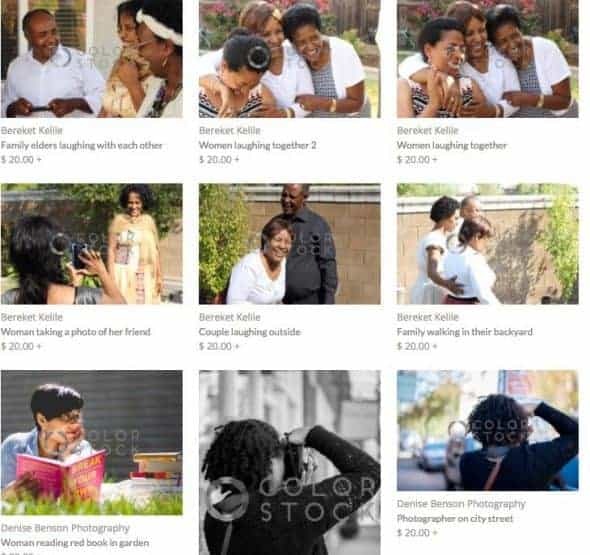 Depending on your chosen purchase model, you can get our multicultural diverse stock photos from $ 7,80 each, down to as little as $0,49 per image. As affordable as it gets! Discover our diverse stock photos in SPS Shop! DragonImages is a stock photo production brand and studio owned and managed by Pressfoto Group, a long-established stock photography house and stock photo agency. DragonImages is based in Asia, and focuses strongly in producing Asian-related imagery that accurately represent this region's ethnicities, culture and customs. Using Asian models, shooting on Asian locations and covering all kind of topics and themes, DragonImages creates diverse stock photos that bring a modern and local take on Asia, it's people and it's landscapes. Images from their collection are available at Pressfoto agency, as well as in most of the top stock photo agencies in the web: Shutterstock, iStock, Dreamstime, Depositphotos, Fotolia, and more. All these outlets work with very low price points, making DragonImages photos very affordable, sometimes less than $1 each. SnapHubr is a Nigerian based stock photography agency, dedicated to sell and promote high quality imagery that better represents Africa, including its geography, fauna and people. If you're looking for culturally diverse stock photos, this is the right place to find many representations of African culture. They offer a large collection of 7 million images, covering all the most popular topics and themes like business, family or technology. They include regionally relevant categories such as festivals, animals, traditional people, and more. All in all, their images have everything you need to accurately portray Africa in a modern and artistic way. This agency sells images in bulk, in the form of image packs that you can buy on demand. They have options from 1 and up to 300 images, priced depending on intended use. While priced in Nigerian naira (their local currency), these packs are super affordable, translating into costs from $1,10 to $20,90 per image according to intended use and pack size chosen. 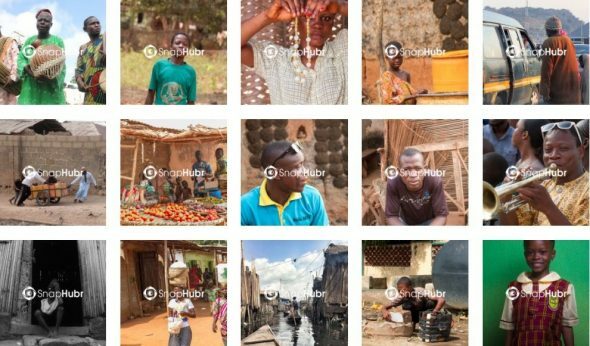 Discover SnapHubr and their awesome African stock photos! 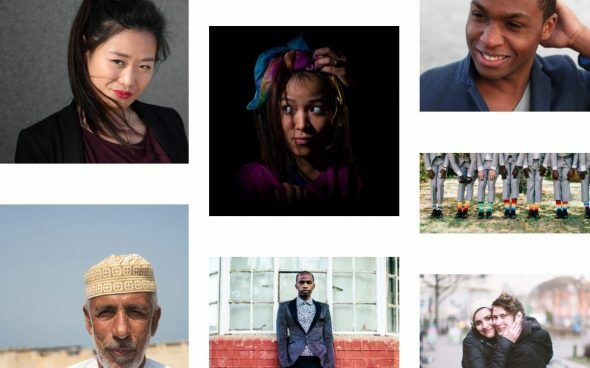 Colorstock is a stock photo agency that specialises in images of people of colour. Their library is full of ethnically diverse stock photos featuring Black, Asian, Latin and many more ethnic groups of people. Focusing in lifestyle, they have curated collections around multiple popular themes such as family, love, healthy living, education, etc. Their aesthetics is marked by a certain artistic perspective and authentic, natural-like style, featuring real people in real life situations. Definitely a go-to source when looking for diversity in stock photos. Colorstock works on demand only, selling photos a la carte for $20 each. This makes them a very affordable option too, and therefore a great way to add diverse people imagery to your work without breaking the bank. Update: As of April 2018, Colorstock is closed and it's collection is no longer available online. 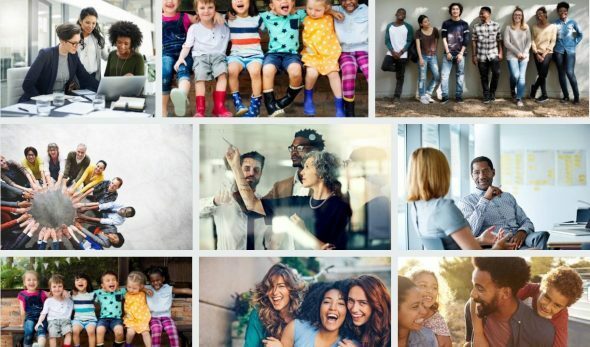 A young stock photo marketplace looking to bring diversity and modern lifestyle representations to stock photography, TONL has a wide collection of images covering ethnical, cultural and racial diversity, with a strong focus in people of color. Grouped in seven main categories and also searchable by keywords, you will find all kinds of photos depicting people in every imaginable aspect of life, all with an artsy and modern aesthetics that looks to better represent diversity. Portraits, couples and group photos populate this cool and very diverse collection of images. TONL sells photos a la carte for $20 each, and they have several low-volume monthly subscription options that let you save significant amounts of money, from 15 downloads for $29 up to 75 images for $105. A great way to get diverse stock photos without spending much, even if you only need a few images per month. Discover TONL awesome photo collections here! Shestock is a stock photo collection focused in women. Moreover, it's also sourced from female photographers. The photos represent a current and diverse look at women today, covering their various roles and depicting them in different life situations. Including female models of all ages and ethnicities, with different body shapes and personal styles, the collection has content for most popular topics like family, love, motherhood, business, travel, and more, and it also has a lot of portraits. The collection is available on Blend Images stock agency. According to size, they cost from $20 and up to $250 per photo. Explore Shestock women-first photo collection! Wellness Stock Shop is a stock photo marketplace run by award-winning photographer Briena Sash, and it features a unique and high end stock photo collection focused in wellness, healthy and natural themes. All images, produced by Briena, include real life professionals, and people from various races, gender, age and backgrounds. It's a perfect visual resource for brands within the healthy living industry. Catalog in Wellness Stock Shop include mockups, desks and flat lay designs, lifestyle photos and more, all around the topic of wellness. They're all Royalty Free and they include preset files for social media use. Collections are divided according to particular industries (nutrition, fitness, beauty, spirituality, etc), and also by style. But all the photos share an aesthetics based in authenticity, natural feel, with lots of white and touches of bright colours. The artistic eye of the photographer adds value to these images, making them not only technically suitable for professional use, but also unique and aesthetically appealing. This site has three membership options to buy. Pro Pack is the most affordable one, valid for 3 months with 45 downloads. The other two, Blogger and Developer packs, are for 1 year and grant unlimited downloads. The difference between them is in the usage allowed for the photos. While they are all Royalty Free, Pro and Blogger pack enable you to use the images for your own business or purpose. Developer pack lets you use the photos in designs for your clients. Discover Wellness Stock Shop here! 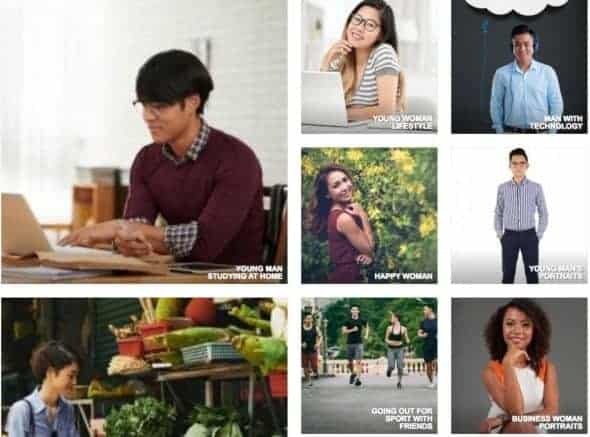 The name couldn’t say it clearer: this agency specialises in bringing diversity to stock photos. With a natural, authentic styled aesthetics and high quality images, Diversity Photos library covers every possible aspect of human diversity, offering Royalty Free, affordable imagery you can use in your every design. When we say every aspect of human diversity, we mean it. Diversity Photos has a large catalog curated into categories, each representing a facet within the concept. From business and health to spirituality and disabilities, going through family, ethnically and cultural diversity, age groups, and more. This variety and grade of specialisation ensures you will find professional, high quality photos for every project you have in mind. The agency sells photos both on demand and with subscriptions. Paying as you go each image costs $25-$50 according to size, but you can get 25% discount with an image pack, and up to 50% discount with an annual subscription, taking individual image price down to just $12,50-$25. Very affordable rates for HD photos ready for commercial use. As you can see, there's a lot of great sources to buy photos that are high quality, commercially worthy and ready to use, representing the ever-current topic of diversity. Using diverse stock photos you can create inclusive visual concepts that better connect with your target audience and share a message more accurately. There's diverse stock photos for every need and for every budget, and with our top 10 list of diverse stock photo agencies, now you can find the ones that suit you!